DALLAS—Suzanne and Dallas Branch are both architects. 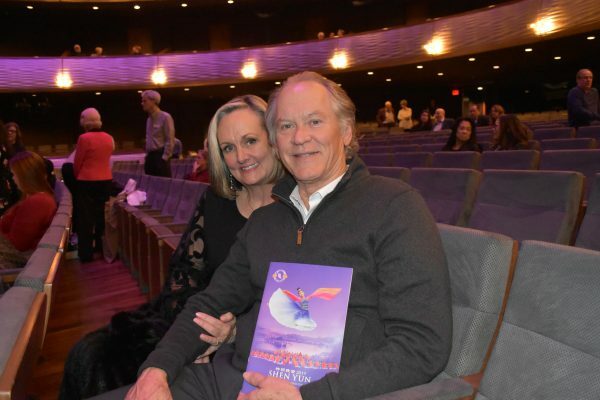 They came to watch Shen Yun Performing Arts 13th season production on Jan. 22, in Texas. The growing arts company, now with six touring groups, creates a new production every year, and brings 5,000 years of traditional Chinese culture to the stage at every performance. Dallas Branch was struck by the vibrancy he saw onstage and the set itself. “The costume was just incredible, so vibrant. Amazing show,” he said. Mrs. Branch added to that her impression of what she heard. “The music was incredible,” she said. “I loved the blending of the Chinese traditional instruments with the Western instruments. That was so creative. 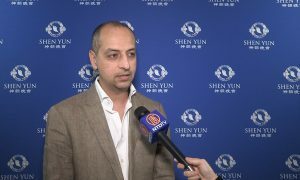 Started in 2006 in New York with the artistic vision of reviving the traditional Chinese culture, Shen Yun travels the world, sharing the traditional Chinese culture with the audiences everywhere through a series of vignettes that draw from the 5,000-year history. 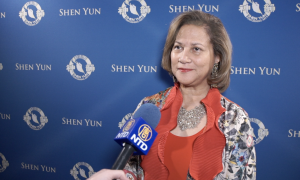 And introducing each story and piece are Shen Yun Performing Arts’s emcees, who take the stage before each vignette. Mrs. Branch appreciated them very much. A story that left a strong impression upon her was “Lost in a Painting” which shows a woman captivated by a classical Chinese painting of scholars gathered around an incomplete poem. Immersed in the feeling of the painting, the woman is struck by inspiration for the last line of the poem. 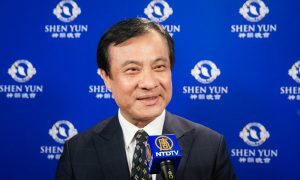 Besides portraying the traditional Chinese culture through classical Chinese dance accompanied by orchestra, each of Shen Yun’s six touring groups have their own unique solo performers. 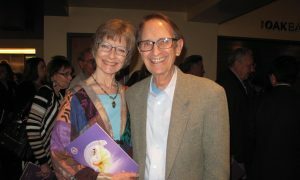 In Dallas, the couple enjoyed musical performances by a soprano and bass singer. “She was fantastic,” said Mr. Branch. The couple also appreciated the translation of the songs upon the background screen. 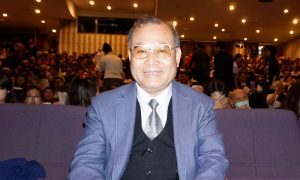 “I would love to come back next year and to see a new show,” said Mrs. Branch. 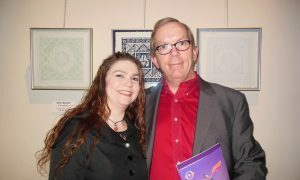 Keith Powell is a publisher, and his wife Staci Powell is a flight attendant. 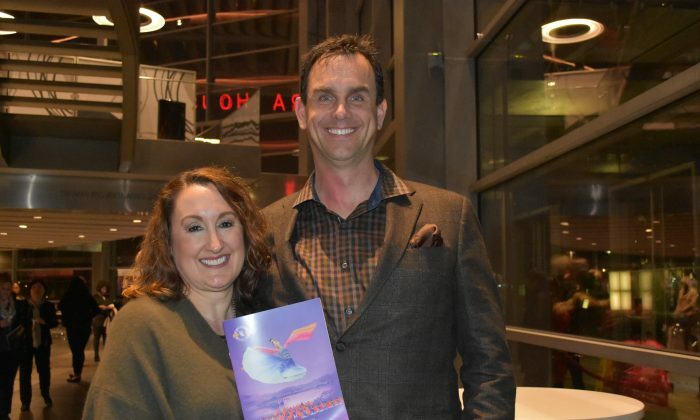 They both enjoyed watching Shen Yun. He also enjoyed the music. Mr. Powell said the music had an effect on him. 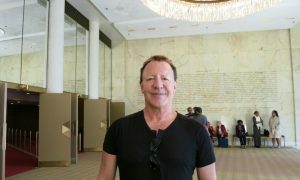 Mr. Powell said the spiritual nature of the show is “spot on.” Traditional Chinese culture is said to be divinely inspired, and such references were evident in the production. Mrs. Powell said that she would like to understand more about spiritual oppression in China, which was touched on in stories of China set in the modern day, and she said that it had relevancy to them. Mr. Powell agreed. “I hate to see anyone feel persecution,” he said. “We are all about freedom, freedom of religion, freedom of speech, and I feel like that’s a very important value that we have as Americans. With reporting by Amy Hu and Carrie Gilkison.